If one is trying to use spray glue to fasten an inexpensive poster/print of Vue De La Fenetre Tanger by Henri Matisse onto an art paper background which is glued onto the backboard of a VERY cheap frame, and one manages to leave wee gluey fingerprints at the top of the picture, one should NOT attempt to remove the glue with a Mr. Clean™ Magic Eraser™. Indeed, this is a fine product; I’d go as far as proclaim the Mr. Clean™ Magic Eraser™ one of the finest scientific marvels of the twenty-first century. I worship at the feet of the Mr. Clean™ and heap lauds and honours on his shining, hairless cranium. 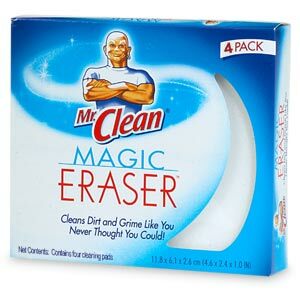 A Mr. Clean™ Magic Eraser™ will even remove what one might think is permanent evidence of an especially festive Valentine’s Day party that took place while one was out of the country (ask Bronwen about the “Makeout List” – it’s rather amusing). 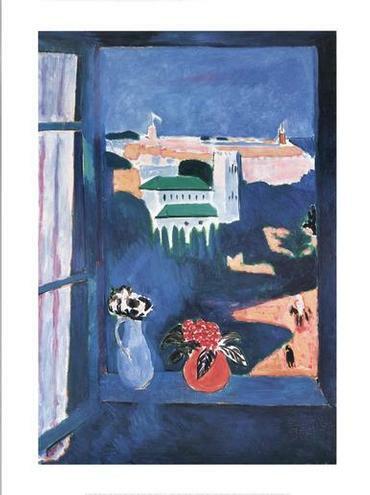 Unfortunately, a Mr. Clean™ Magic Eraser™ will also remove the coloured top layer of an inexpensive poster/print of Vue De La Fenetre Tanger by Henri Matisse – it’s so very thorough, indeed. Oh, I learned this today. I also learned that one should not attempt to repair the resultant damage from the Mr. Clean™ Magic Eraser™ debacle with a blue Sharpie® and a purple Sharpie®. These are also fine innovations of the twentieth and twenty-first centuries. But, I learned today that perhaps Henri Matisse was using pigments in more subtle hues and variations of tone than a blue Sharpie® and a purple Sharpie®. Just because he was a Fauvist doesn’t necessarily indicate he lacked refinement altogether. I have learned, then, in summary: 1) Don’t be a gluey slob with your huge sausage fingers, 2) a Mr. Clean™ Magic Eraser™ is a mighty implement – a powerful force that must be respected, and 3) blue and purple have a myriad of delicate variations than are not necessarily embodied in a Sharpie® – we must wait still for the Sharpie® that embodies the exotic hues and tones of Tangiers. Ha ha ha! I know an art restoration salon that needs an apprentice. Interested?